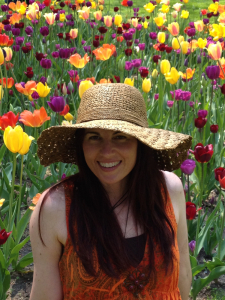 Laura Bruno is a Medical Intuitive, Reiki Master Teacher, Life Coach, professional Intuitive, author, artist, and organic gardener. A fateful 1998 traumatic brain injury shifted her intended life course from a professor of English Literature to a very different type of "reader." Four years of near-total disability initiated her into deep meditation, shamanic journeying, herbal remedies, visual therapy, energy medicine, food vibrations, the power of prayer, and a world of uncanny synchronicity. In October 2001, as part of her own recovery process, Laura began helping others that traditional medicine and mainstream culture left behind -- encouraging clients to rewrite their stories into more magical and soulful tales of liberation, creativity, empowerment and joy. Specialties now include healing Lyme Disease, traumatic brain injury, and other "medical mysteries," escaping narcissistic abuse, energetic protection, and helping people transform their worst nightmares into dreams come true. Laura embodies this idea of radical transformation in all areas of life -- from painting discarded, dirty doors into portals of intention; to healing and nurturing a weedy, stumpy yard into a permaculture haven; to reclaiming Shadow gifts and Faery lore.